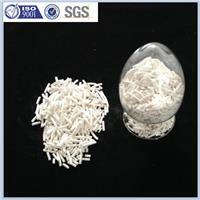 NaY Zeolite, a kind of alkali silicon aluminate, is Y-type crystal sodium zeolite. It can adsorb molecules whose critical diameters are no greater than 10 angstrom. NaY Zeolite, a kind of alkali silicon aluminate, is Y-type crystal sodium zeolite. It can adsorb molecules whose critical diameters are no greater than 10 angstrom. It is used for catalytic cracking catalysts preparation, drying dehydration, hydrogen desulfurization, the catalysts support, the purification of gases of oil refining and chemical industry, metallurgy, electronics and nuclear-related industries.